Direct water from your submersible pump to your existing spitter, fountain head, or biological filter easily using this Beckett Fountain and Spitter Black Vinyl Tubing. This fantastic, 20' length of tubing is perfect for short runs, and the product easily connects to pumps or features with a 0.5" outlet. The black color not only blends with your pond liner; it also prevents the tubing from degrading due to ultraviolet rays. Its flexible design allows you to position and curve it as needed, for a truly versatile accessory. 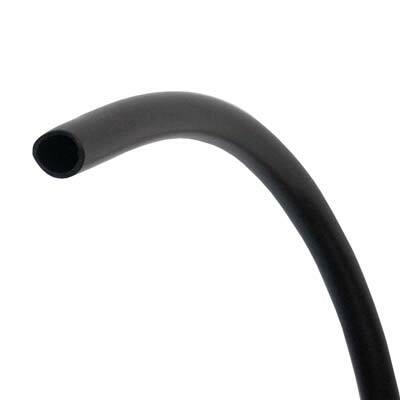 Move water from your pond to an exciting feature with this Fountain and Spitter Black Vinyl Tubing. Made in the USA.